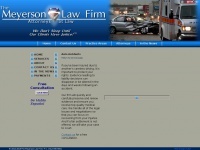 Our experienced team of attorneys will provide assistance, advise, and take action on your car wreck case. The web server with the IP-address 50.87.150.48 used by Carwreck.us is owned by Unified Layer and is located in Provo, USA. 42 other websites are located on this web server. Most of them are provided in the english language. The websites of Carwreck.us are served by a Nginx server. The markup language of the website is HTML 4.01 Transitional. Both the inclusion of the website in search engines and follwoing of its hyperlinks is explicitly allowed.